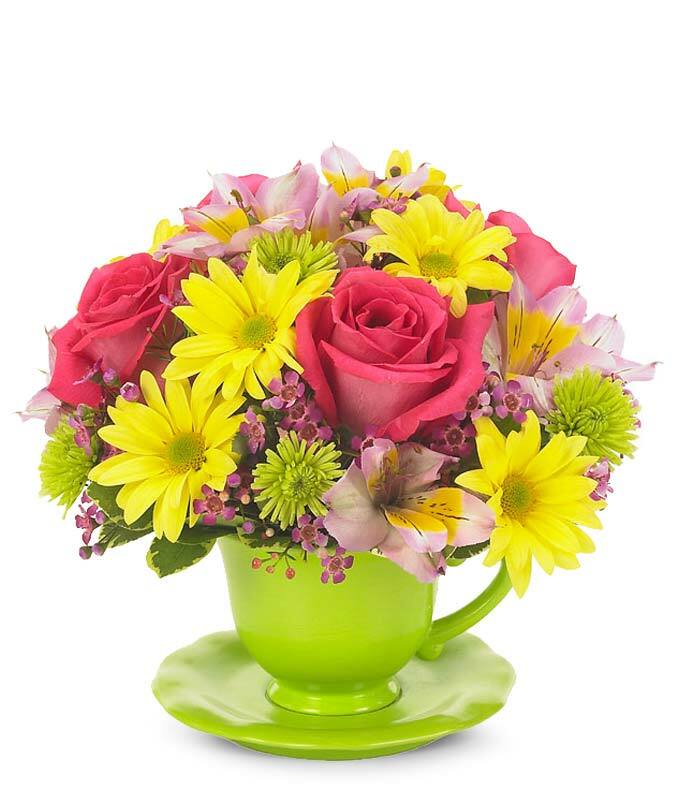 The Bright Floral Teacup Bouquet is one surely to delight and impress with its beauty. Green button poms, hot pink roses, pink alstroemeria and waxflower, and yellow daisies are artfully arranged and make for a lovely gift to brighten someone's day. Delivered in a keepsake tea cup with saucer, this makes for a unique present. Measures 9"H by 9"L. Floral and tea cup may vary due to local availability.